[toc]Pollen allergies are one of the most common types of allergy and one that is frequently occurring. This is a problem that specific people from the population suffer from and those who are sensitive to pollens. 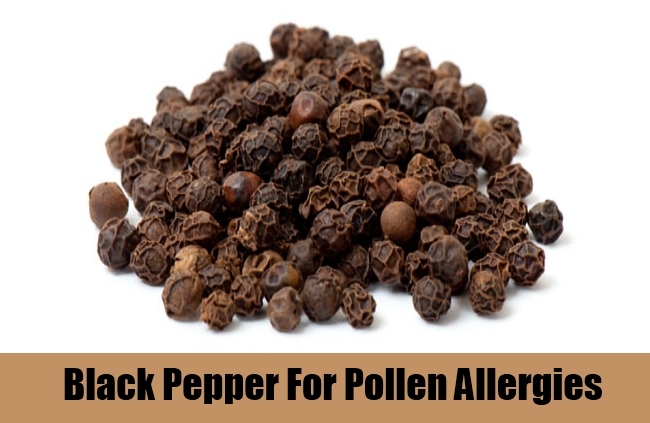 It is accompanied by severe sneezing issues as well as itching in the eyes that causes a lot of discomfort in the body and also hampers or prevents you to live a normal day to day life. However, along with medications, you can always use some form of safe and useful remedies that will trigger the treatment. The best to be done here is to stick to home remedies. The list below has some well researched ideas that can be used on a routine basis to get best results. One of the simplest home remedies that can be used for the treatment of pollen allergy is to adhere to lots of water. Having about 10 glasses of water daily will hydrate the body and flush out the toxins and pollen from the system. Make sure that the water is pure and filtered. Apart from this, healthy liquids like herbal teas, fresh fruit juices and coconut water can also trigger the outcome for treating this form of allergy. A handful of rice with a few pieces of black pepper should be bitten in the mouth and kept there for a couple of minutes. The juice should be allowed to enter the throat slowly. Once that is done, you can split the residues in the mouth. 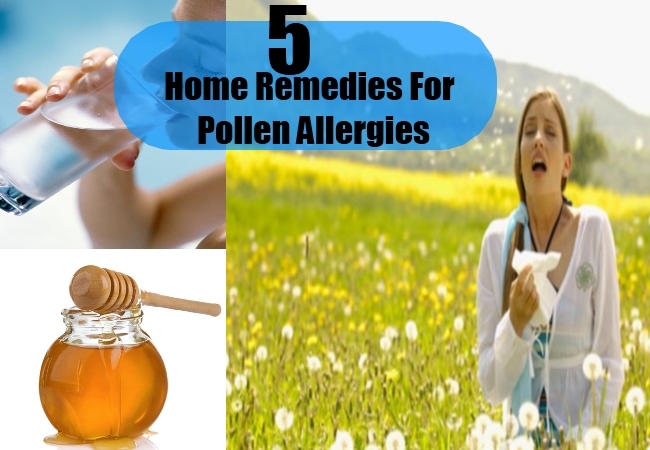 This is one of the effort taking home remedies but definitely one that gives you worthy results on the pollen allergy. Since there is severe nose blockage, one of the best ways for the treatment of pollen allergy is that of saline solution spray. Prepare some by adding salt to warm water and then cooling it a little. This can be sprayed in the nose to get brilliant outcomes. 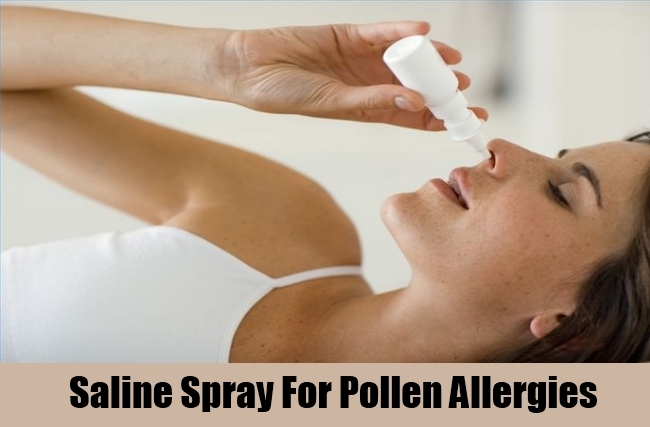 Saline sprays are also available in the market but then the one prepared at home is reasonable and safe. This should be used at least once each day to get best results. An effortless way of treating pollen allergy is to eat a little honey each day. This is a simple thing to do but make sure that the honey is local and organic. This will give you the results that you want. Honey has healing and anti inflammatory properties that can treat the allergies and relieve the symptoms. Follow the routine daily till it completely subsides at bay. Steam is a wonderful way to open up the blocked passages and treat the signs of pollen allergy and other forms of allergy too. Take a tub of hot water and take the steam. Cover the head with a towel and do this for about 10-15 minutes. Add a little eucalyptus oil to the water for better outcomes. This should be followed one time daily for a couple of days to treat the problem from the roots.